In middle of 2017 CineEye team worked on a promotional video for a college. This video is a good example on how to plan and shoot a promotional video for school or college or university in order to reduce the overall costs and make it affordable. As with any video production project, the idea or concept is the very essential beginning. It is also the first point where you can already think about options how to cut your costs. Expensive locations, celebrity actors, exquisite sets – these all can be tempting, but can be very costly. Not to worry though as you don’t always have to use them. The concept and planning phase is the time where you can (working together with the video producer) come up with ideas that will look good, but will not be extremely expensive. 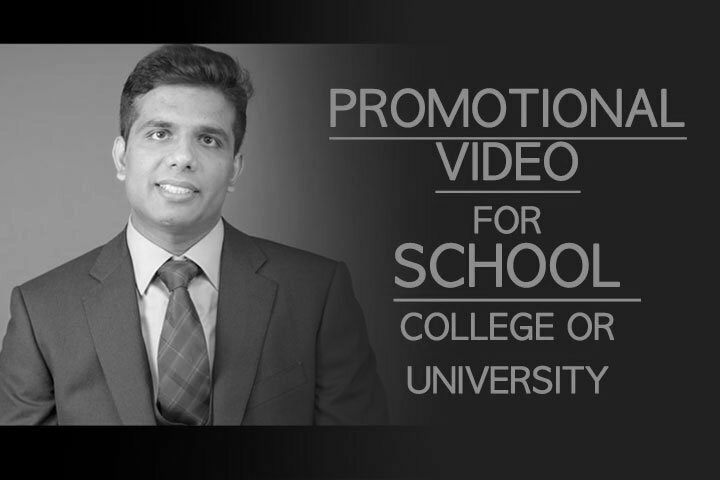 For this college promotional video we focused on the founder of the college, as well as testimonials from existing students. The concept is fairly simple but gives good impression about the college to the prospective students. As we mainly focused on the founder of the college and existing students, we needed to shoot only in 2 locations, i.e. in our own studio in Aldgate East (London) and at Imperial College London. The footage from Pakistan, where the college is located, was supplied by a local contractor. In this way we managed to reduce the costs significantly, because any additional location would mean more time spent shooting and travelling. This would inevitably increase the overall cost of the promotional video. The location of Imperial College London and the nearby Royal Albert Hall gave us opportunity to capture the “London feel”, which was crucial for our customer to emphasise. Type of equipment needed and the size of crew is an aspect of video production that can drastically impact the cost of production. CineEye filmed this college promo video with a crew of just 3 people. This was possible largely because most of our team are multi-skilled where one person can take on several aspects of video production. It is not possible for larger and more complex project, but for a video project such as this it was the best way forward. Shoot length is very much related to amount of locations you shoot in (but is not the only aspect determining it). It also is a factor that very much impacts overall cost of any video production. This video was shot in only 1 day, where half of day was spent shooting the founder of the college in our studio and the other half of day was spent shooting student testimonials and cutaway shots. One aspect that made this video even more affordable was that we didn’t need to hire professional actors or other talent. Any school, college or university should try to have their own staff and students take part in the promo video. Not only this will reduce the costs, but will also help the video to feel more authentic. Makeup and wardrobe is another component of video production that can become costly. For less complex school, college or university promotional videos it is not common to source wardrobe specifically for the video as we try to show staff and students as they are. But of course it depends on the production value of the video – a large, well known university might as well do it. But for this video we relied on wardrobe choices of the on-screen personalities themselves. If such decision is made, one should always get advice from video production company regarding what to wear during a video shoot. If you are looking to produce an affordable promotional video for school, college or university, main aspects to first think about are concept development, locations, equipment and crew, shoot length, actors, wardrobe and makeup. If you keep these components in mind while working with your video production company during the planning phase, you will be able to reduce the overall costs considerably. In other words – being informed about what parts constitute a video production budget will help you to reduce the budget needed for your promotional video. Another way to start planning your promo video costs is to use our cost calculator. Really an informative article to read. Thanks for sharing the brilliant ideas. Currently, there are so many camera choices available. Which one should I pick for shooting? If you decide to shoot a promo video yourself, you really should first educate yourself more about video production process. Camera alone won’t be enough. Video production is about so much more. If you work with a professional video production company, they will surely use a pro level camera – for example Canon 5D mark III, Sony FS7, Blackmagic URSA mini 4.6k (our preferred camera) or even Red or Arri camera. Thanks for the great post on creating promotional video! I appreciate you doing my homework for me, as I have been thinking about making some video commercials soon for multiple businesses. In my opinion, CineEye is one of the best video production companies in London. I have worked with them twice and they are really awesome.